She was born in a poor family living in the coastal town of Gopalpur, Odisha. Her parents could barely manage the expenses of her and her seven siblings. Those limitations were not going to demotivate Dutee. She decided to take every shortcoming head-on and turned it into a strength. Inspired by her sister, she started running at the tender age of four. Her first breakthrough came in 2012 when she clocked 11.8 seconds in the 100 meters event and became a national champion in the under-18 category. From here on, she sprinted from one success to another. Of course, the obstacles were still there. However, Dutee focused only on her dream. In the 2016 Federation Cup National Athletics Championships (New Delhi), she broke a 16-year-old record by Rachita Mistry by clocking 11.33 seconds in the women’s 100m dash. The hyperandrogenism controversy tried to overshadow her career. She was dropped from the Commonwealth Games contingent. She fought hard against the prejudice and came out stronger. At the Jakarta Palembang Asian Games, she won a silver medal in not one but two events! Despite the struggles with poverty and social apathy, Dutee Chand dared to break barriers of gender discrimination to become one of India’s finest women athletes. Women from rural India rarely have the luxury of dreaming of a career in sports. Dutee Chand is one such woman, who has broken the patriarchal shackles to run towards a better life and success. Even after overcoming initial constraints, life hasn’t been fair to her. Every turn brought new challenges, but Dutee is not the kind of person who boggles down to them. She has proven her worth as an athlete, as well as a determined individual time and again. Let us take a glimpse of her inspiring life and try to understand what makes her the champion she is! Dutee was born in 1996 to Chakradhar Chand and Akhuji Chand in Jajpur district of Odisha. For most of her life, she has lived in a small coastal town called Gopalpur. She comes from a below poverty line family. Her parents were weavers who earned less than Rs. 3000 a month. She has six siblings. At age of 4, she took inspiration from her older sister, Saraswati, who used to run on the banks of the Brahmani River in their town. Saraswati later became a national-level sprinter but left athletics for a career in the police department. When Dutee was merely 10 years of age, she was called a tomboy by many. She was taunted for having aspirations that are acceptable only for boys. She could not afford a tracksuit and had to run barefoot during training because she was unable to buy sports shoes. 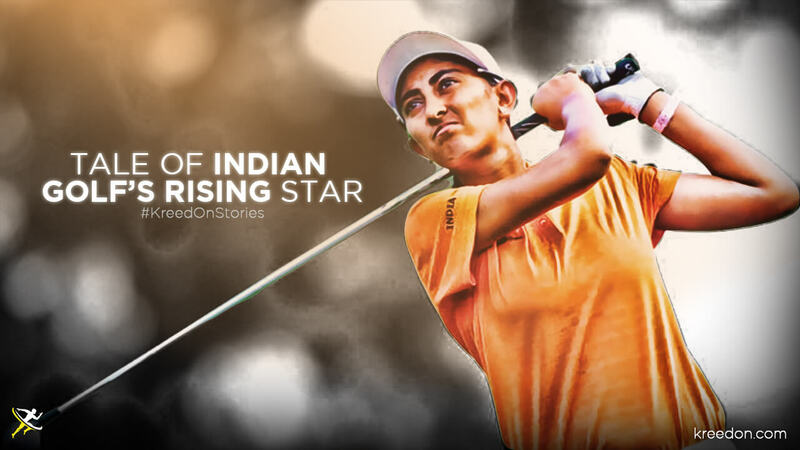 Her life changed when she won a sports scholarship to a government school in Bhubaneshwar. Dutee got her first big break in 2012 when she clocked 11.8 seconds in the 100 meters event and became a national champion in the under-18 category. In 2013 won the bronze medal in the 200 meters event at the Asian Championships held in Pune. The same year, she became the first Indian to reach the final of a global athletics 100 meters final, when she reached the final in the World Youth Championships. In 2013, she also won a gold medal in the 100 and 200 meters events on the senior circuit at the National Senior Athletics Championships in Ranchi. In the 2016 Federation Cup National Athletics Championships (New Delhi), she broke a 16-year-old record by Rachita Mistry by clocking 11.33 seconds in the women’s 100m dash. Sadly, she missed the Rio Olympics qualification norm of 11.32 seconds. But Dutee Chand wasn’t someone who would give up easily. She came back stronger and broke the National record twice in one day by clocking 11.24 at the XVI International Meeting G Kosanov Memorial in Almaty, Kazakhstan on June 25th, 2016. As a result, Dutee became the first Indian athlete (female) to compete in the 100m Olympic event in 36 years. In 2014, her career took a dark turn as she was dropped from the Commonwealth Games (Glasgow) contingent. The Athletic Federation of India stated that hyperandrogenism made her ineligible to contest as a female athlete. For those of you who are unaware about hyperandrogenism, it is a physical condition where the body produces a larger than average amount of the male testosterone hormone. She was taken for hormone tests in Delhi and Bangalore without her knowing what the tests were for. Media persons soon stormed her house in Gopalpur and asked embarrassing questions to her family. She was given two options – seeking hormone therapy or bidding her sports career goodbye. Instead, she courageously decided to challenge the AFI in the Court of Arbitration. “It’s wrong to have to change your body for sports participation. I’m not changing for anyone,” she said. Another Indian athlete, Santhi Soundarajan and South African, Caster Semenya was subjected to similar accusations a few years ago. Soundarajan, N. Ramesh and Pullela Gopichand supported Dutee during the litigation. A website, letduteerun.org was also started to gather mass support. Here is a statement by her coach Ramesh from an interview with Firstpost. 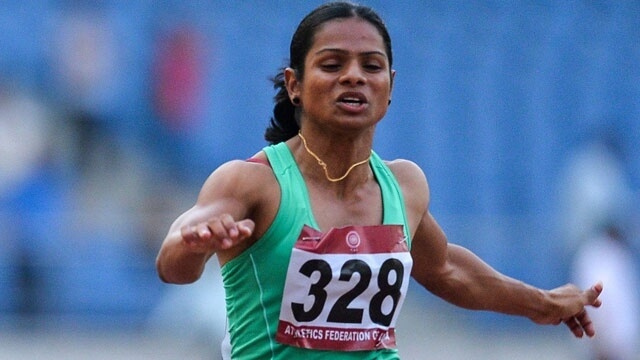 Dutee Chand won her fight in July 2015, when the Court of Arbitration decided to suspend the hyperandrogenism regulation for female track and field sports for two years. Enough damage had been done to her career despite the fact that there is no sufficient evidence about the degree of the physical advantage hyperandrogenic females enjoy. What happened with Dutee Chand is an excellent example of the dangers of a patriarchal society. Only females with hyperandrogenism undergo this test. Males who produce unusually high levels of testosterone get the liberty. 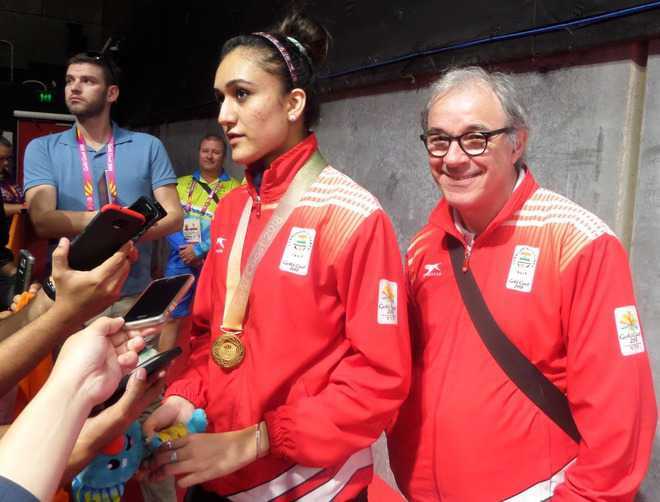 Dutee’s courageous move to fight for justice has inspired others and she wants to make sure that no other Indian athlete has to suffer the same ordeal. Her victory changed the mindsets, but the war is yet to be won. Training in Hyderabad along with several aspiring as well as accomplished athletes has helped Dutee a lot. The year 2017 started on a bang for her, as she won two bronze medals at the Asian Athletics Championships. Dutee got the medals in women’s 200 meters event and 4×100 m relay team event. 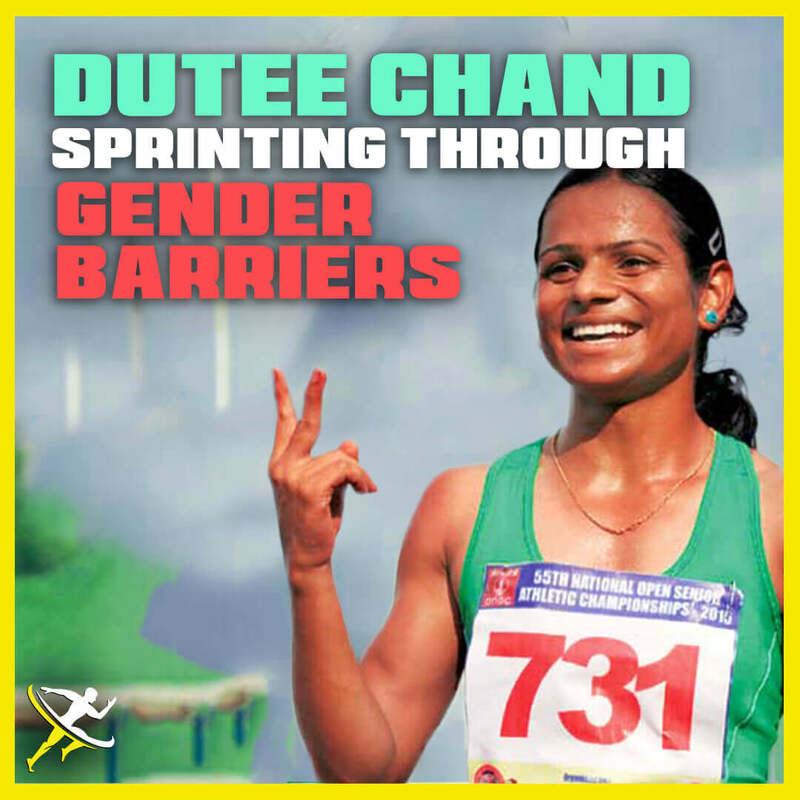 Dutee couldn’t compete in the 2014 Asian Games due to the hyperandrogenism issue, but she wasn’t going to miss the opportunity in 2018. At the Jakarta Palembang Asian Games, she won a silver medal in not one but two events! “First, let me start thanking Ramesh sir (SAI athletics coach N. Ramesh) and Gopi sir (chief national badminton coach P. Gopi Chand). But for them, I would have faded away. Those were the days when I had just ₹500 in my bank account, not sure where to train after the IAAF ban. Then, it was Ramesh sir who saw to that I’m put in Gopi Academy on January 5, 2015,” Dutee told The Hindu in an interview after the Asiads. The double whammy came in the 100 meters and 200meterss women’s event. In the 100 metres event, she clocked in 23.20 seconds, to finish behind Odiong Edidiong of Bahrain. Chinese athlete Wei Yongli came third. The 100 metres silver is only India’s second medal. Pt Usha brought home the first one in 1986. Dutee Chand has a really long way to go. She is talented, hard working and determined to be successful. These qualities make her a true champion. The youngster is finally in her best form after going through numerous difficulties and setbacks. It is time for her to shine like the star she is!